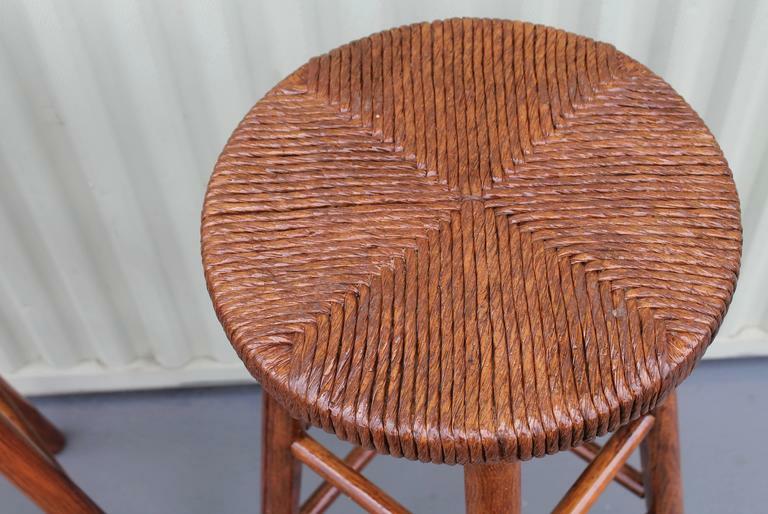 These cool oak bar stools were handmade probably from the forties and have hand woven hemp seats. 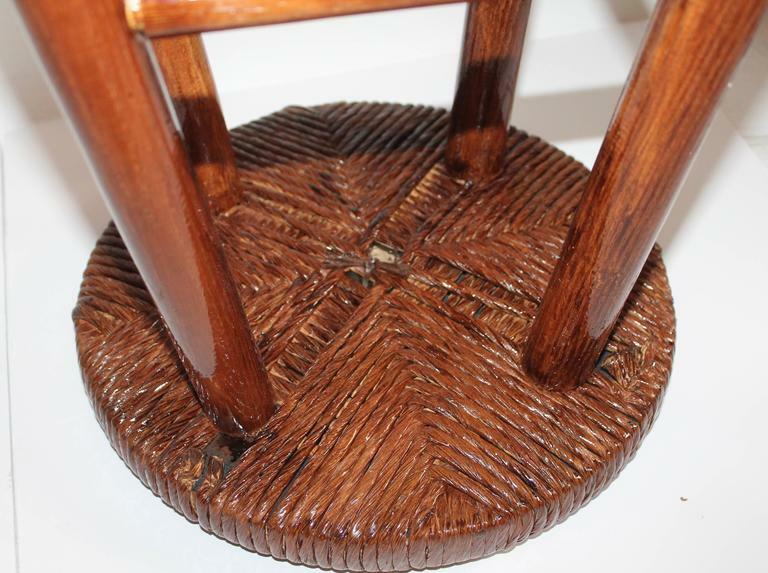 The condition is very good and sturdy with a stained and varnished finish. 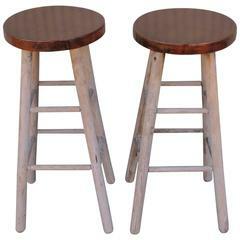 Pair of plank top and very distressed painted bar stools. They are sturdy and in good condition. 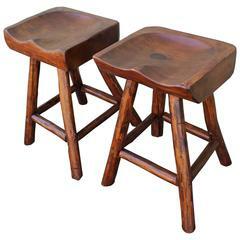 Amazing thick and heavy rustic hand made hickory bar stools with thick plank seats. This pair are in very good condition and very comfortable .These are sold only as a pair. 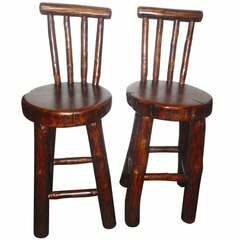 This pair of iron base and iron tractor seat bar stools are in good and sturdy condition. 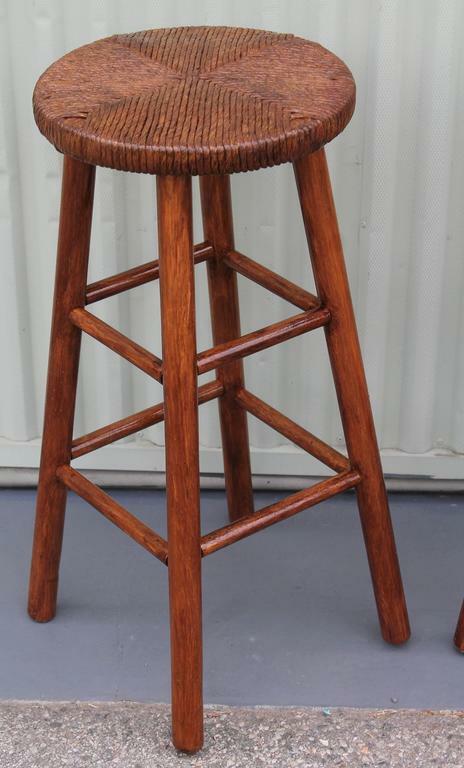 Set of 5 Rustic Old Hickory (1940s) style pine bar stools with woven saddle form seat over 2 box form stretchers. Pair of bar stools in polished nickel over steel frames, original black upholstery canvas seats, circa 1980. 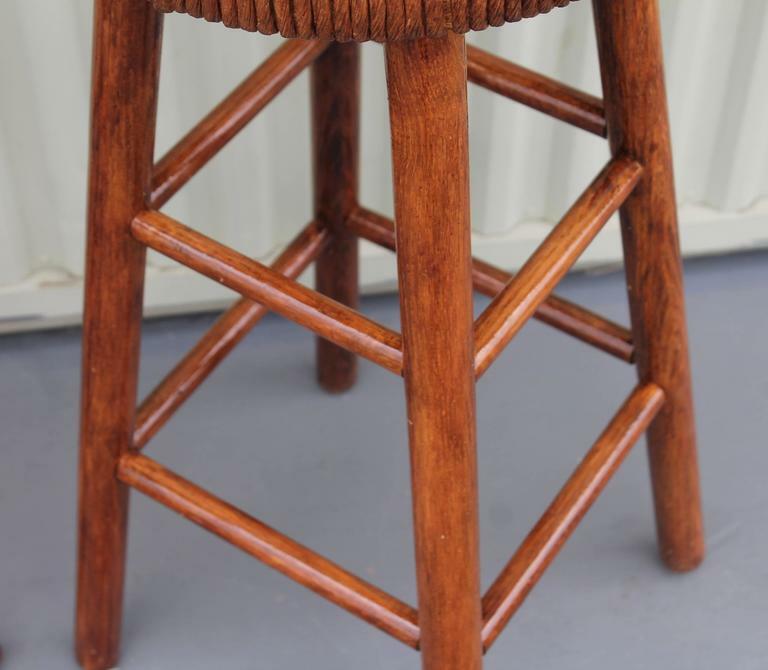 Pair of McGuire bar stools. 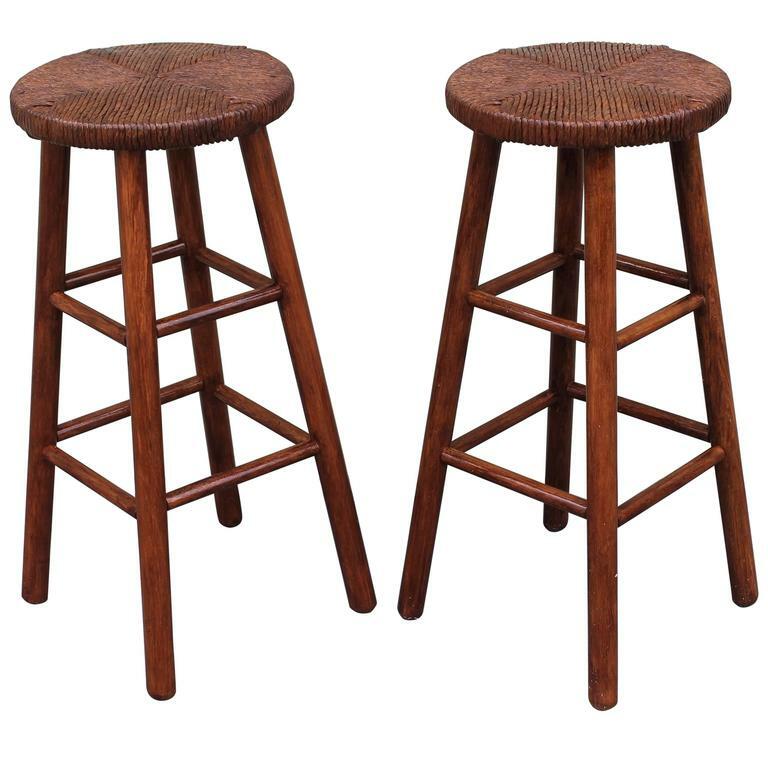 Stools are in good vintage condition with signs of wear from use and age. Dimensions: 18 W x 23.5 D x 38.5 T Seat height 27 Seat width 16. 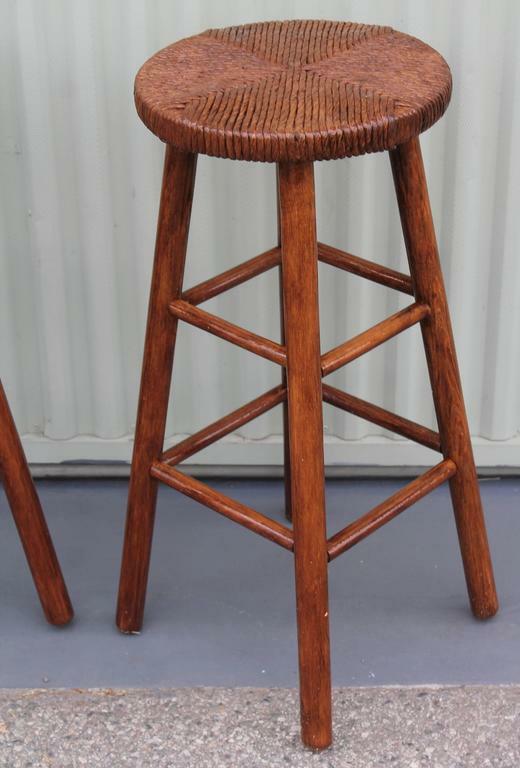 Suite of 7 bar stools oak neo rustic style, circa 1960. 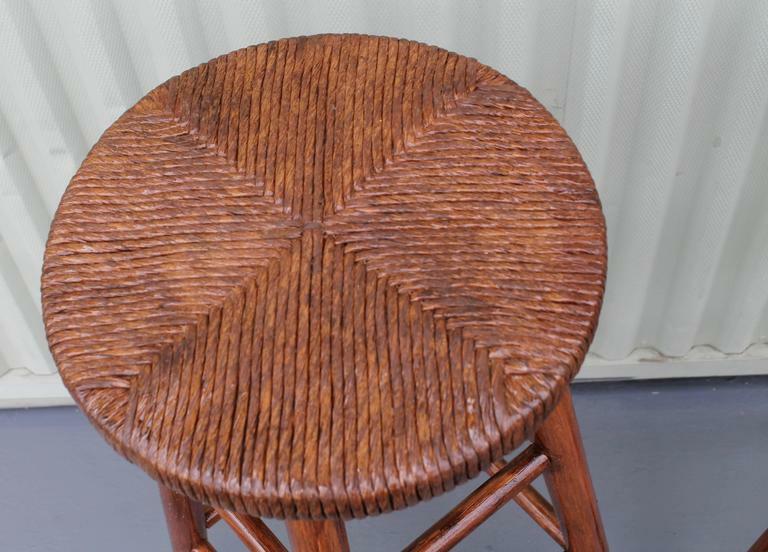 Pair of stools, feet with flip-flops, carved and stained pine, circa 1965.